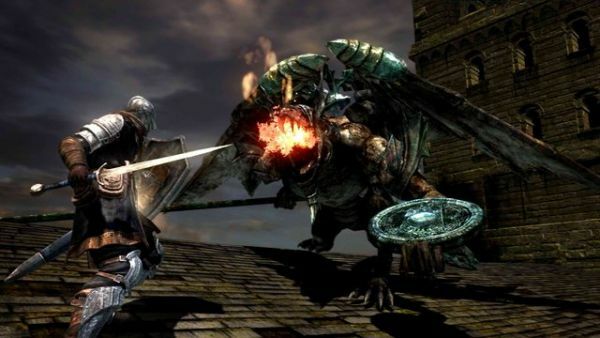 Co-Optimus - News - Dark Souls Will Have More Co-op "Variations"
Demon's Souls was an unapologetically tough game. Director Hidetaka Miyazaki promises that Its spiritual successor, Dark Souls, won't be any easier. One thing that may be different, however, is the game's co-op potential. For those of you who haven't had the chance to play Demon's Souls, the game had a unique co-op mode. At certain points within the levels players could summon other players into their game to help them out if they were stuck at a particularly tricky spot. The summoned players would have to have previously flagged themselves in order to be able to be sucked in to another person's world and would appear as ghostly heroes. They would have to be within 10 levels of the host player. From a single-player perspective, this system could be pretty cool. From a co-op perspective, it was an absolute nightmare. The game was not set up so that friends could easily play together - that wasn't the point of this unique co-op mode. In terms of ways to cooperate, the number of variations has increased from Demon’s Souls. No word yet on what exactly he means by "variations," but any added co-op potential sounds good to us. Dark Souls is set to release sometime this year on the PS3 and Xbox 360.